Storage dams have never been very prominent on the Great Plains, mostly because the plains don't offer very good reservoir sites. The Missouri River is an obvious exception, though, and there are many others. Here's the sign at a tiny dam in central Oklahoma. 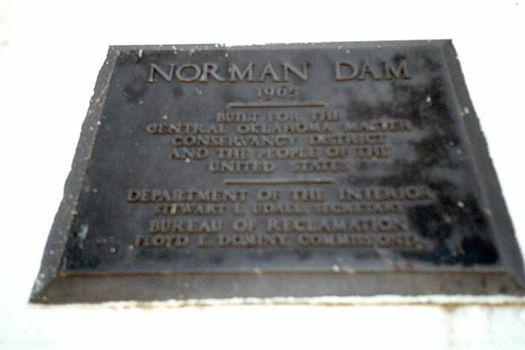 It bears the name of Floyd Dominy, the last of the Bureau of Reclamation's great dam builders.